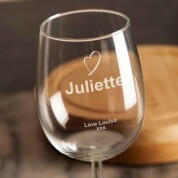 Make a night in with a glass of wine a little bit more personal, with a laser engraved wine glass! 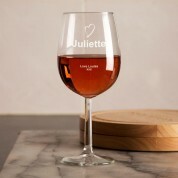 This classy design features a heart at the top of the glass, followed by the recipient's name – so everyone knows whose wine it is! 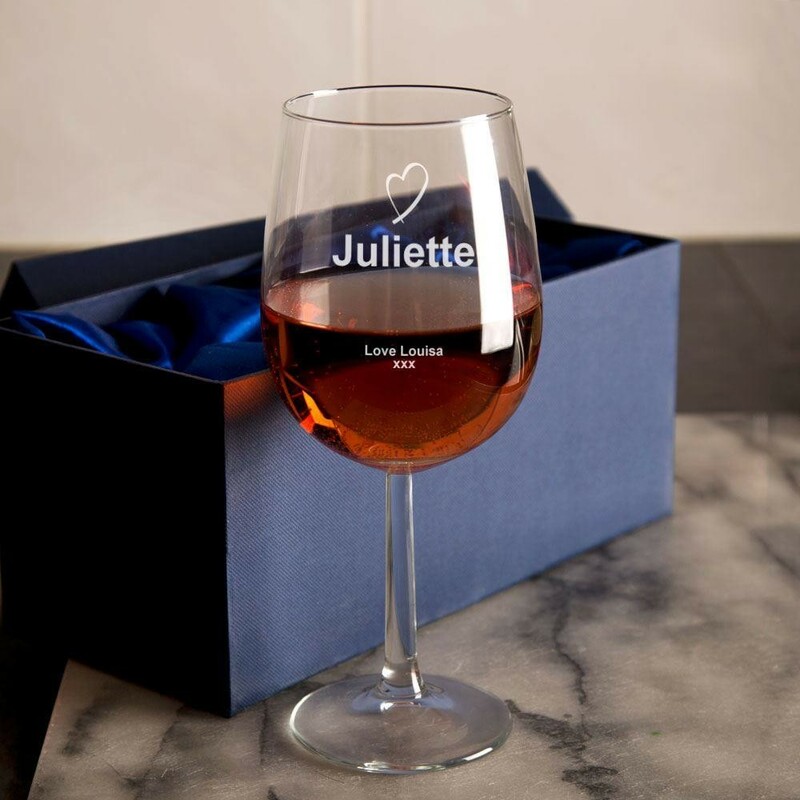 Complete the personalisation with a message from yourself, turning it in to a wonderful keepsake gift. 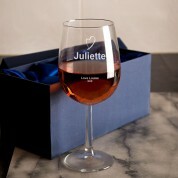 Each glass is designed and laser engraved in house, and makes perfect gift for birthdays, Christmas, or any special occasion. It's a timeless gift that any woman will love to receive.